A new catamaran, purchased by PAL to ferry passengers from Kalibo Airport to Boracay Island. Flag carrier Philippine Airlines is launching a new catamaran ferry service to carry tourists from Kalibo Airport to Boracay Island. Announcing the new venture today (Tuesday, October 23), PAL president and chief operations officer, Jaime Bautista said: “This is the first time that PAL is venturing into the maritime business. Mr Bautista added that PAL chose Kalibo because of its international airport, the main gateway to Boracay for tourists, rather than the smaller — but much closer — Caticlan Airport. PAL has already purchased and modified two vessels — the MV Malambing and MV Magalang. Mr Bautista said it was hoped the new service will be launched in December. The two catamarans, each with 410 seats, were specially customised for PAL and are said to have the same “vibe” as the company’s aircraft. 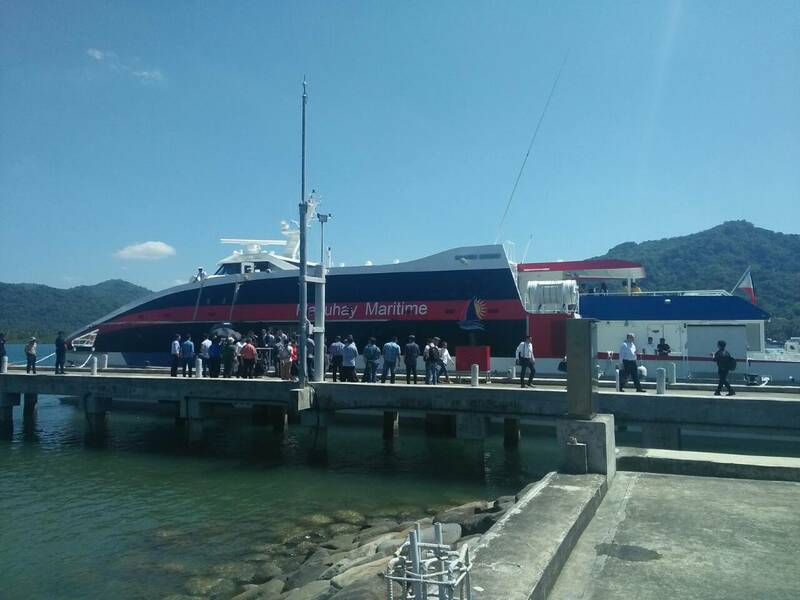 “We already had these (catamarans) delivered to us back in April,” Jose Perez de Tagle, vice president for Corporate Communications, said. PAL executives, including its chairman, Lucio Tan, tested the two catamarans today. If the new service proves a hit with the public, PAL will consider adding new routes across the Philippines. “We will think about the next routes, if there would be any, depending on the demand. Probably we’d have the next route in Cebu,” Mr Bautista said. The cost of tickets and journey time to the island are yet to be revealed. Although combined flight and ferry tickets are anticipated, the ferry will be available to passengers of other airlines, and to anyone arriving in Kalibo by other means.